Anyways, I'm gonna talk about our MAGFest experience a bit, then give a brief postmortem, then talk briefly about our new IndieDB page and a new Let's play video of Galactose and what the status of releasing our rift build into the wild is. First of all, MAGFest was a lot of fun, and quite exhausting at the same time. It was definitely a good teambuilding experience and we all had a lot of fun. 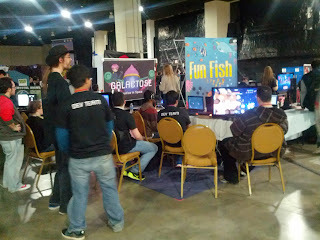 Overall, our booth had a pretty sweet setup and a pretty awesome location - a corner with a lot of traffic. It was really loud at the convention center so we eventually brought an amplifier later in the weekend, but we didn't have one at this point. 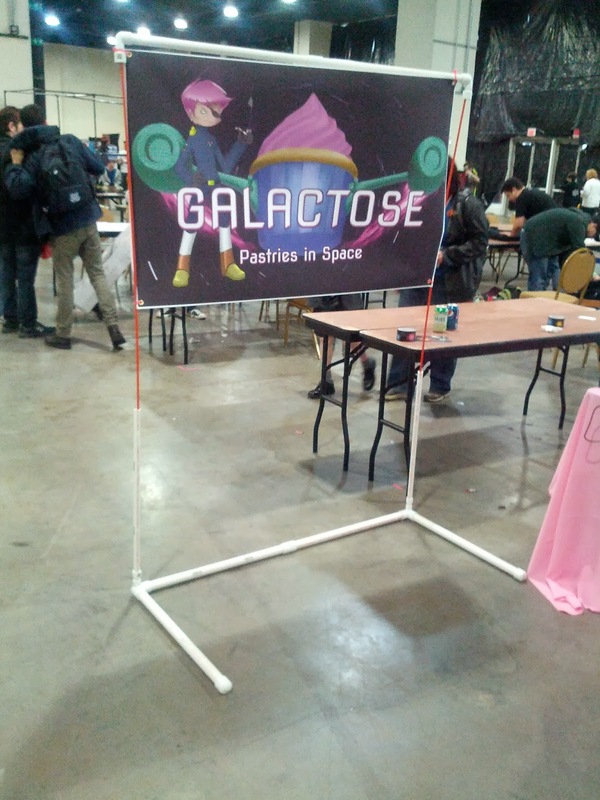 Adding Oculus Rift support was definitely good as the promise of trying out the Oculus Rift helped draw a lot of people into trying Galactose. However there were a few often repeated comments, when playing with the rift - notably about the unreadability of the UI and the low-resolution. Overall, though, most people seemed to like the Oculus Rift version too. 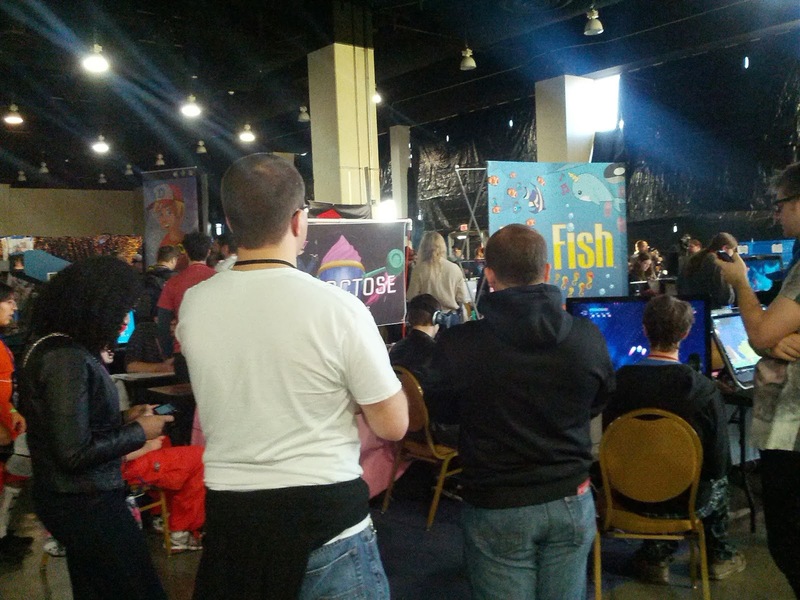 While at MAGFest, we also created an IndieDB page for our game! Its still very basic, but please check it out at http://www.indiedb.com/games/galactose! Jeskimo made an awesome let's play video of Galactose, please check it out! If anyone else makes a Galactose Let's Play video, please send us a link too! We're still investigating the cause of the crash, there hasn't been as much testing on giving AI orders while having multiple squadrons selected, so something there might need some tweaking. Note: this is the build that is currently available from August, so it doesn't have some things like the updated sgt sprinkles image, etc. So, we have a build that is definitely playable, but as the main new feature is Oculus Rift support, I wanted to spend some more time trying to address some of the issues noted by players (and some that we cleverly avoided while showing off) before releasing the build out into the wild. This should be coming "Soon"ish.